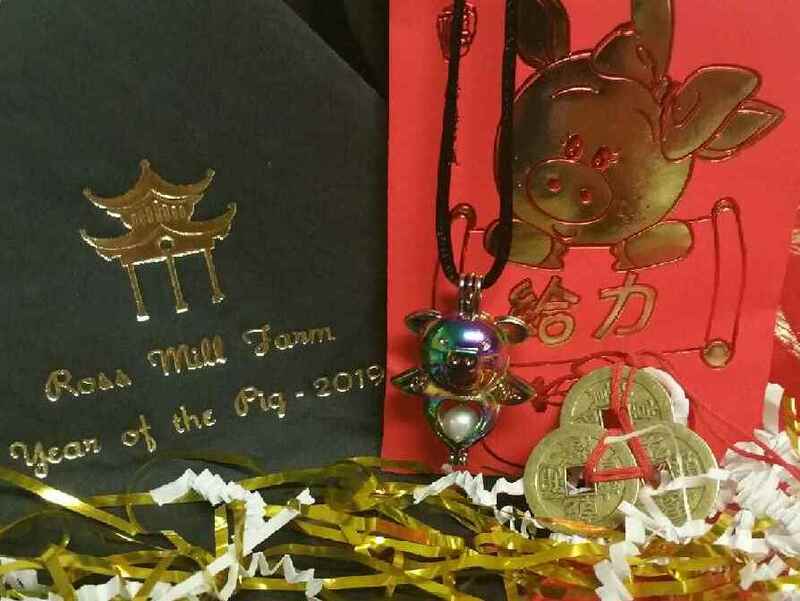 We are celebrating the Year of the Pig at Ross Mill Farm one weekend every month in 2019, from February to November, with an open house at the Farm from noon til 3pm each day. There will be snacks, raffles, coloring for the kids, and other activities, too! 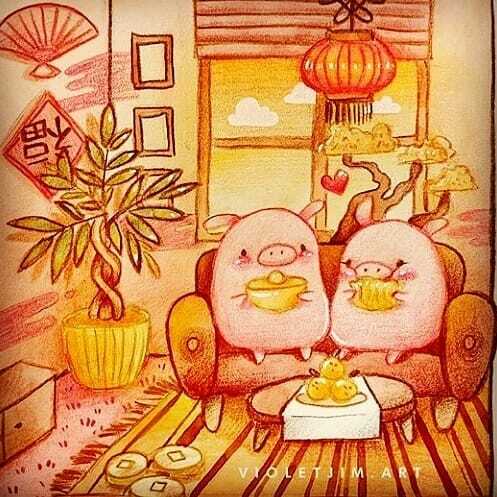 When the weather permits, the piggies will do some pig-paintings which will be available for purchase! Now that’s a unique souvenir! One of our very special raffle items is a beautiful piggy pearl necklace, pictured below. The Akoya pearl is a saltwater cultured pearl from the Akoya oyster. Akoya are considered to be the classic pearl used for necklaces and other pearl jewelry, with perfect round shapes, bright mirror-like luster, and beautiful colors. Akoya pearls are favored by most retailers and consumers as the classic pearl choice. Unlike their freshwater cousins, Akoya pearl oysters rarely produce more than two pearls per harvest. The oysters are nucleated with a bead composed of mother-of-pearl and a small piece of mantle tissue. This bead becomes the nucleus of the pearl and is the reason Akoya pearls are more often perfectly round. This shape, combined with the high-luster found on top-quality Akoya pearls, and their relative rarity compared to freshwater pearls, give Akoya pearls a higher value. 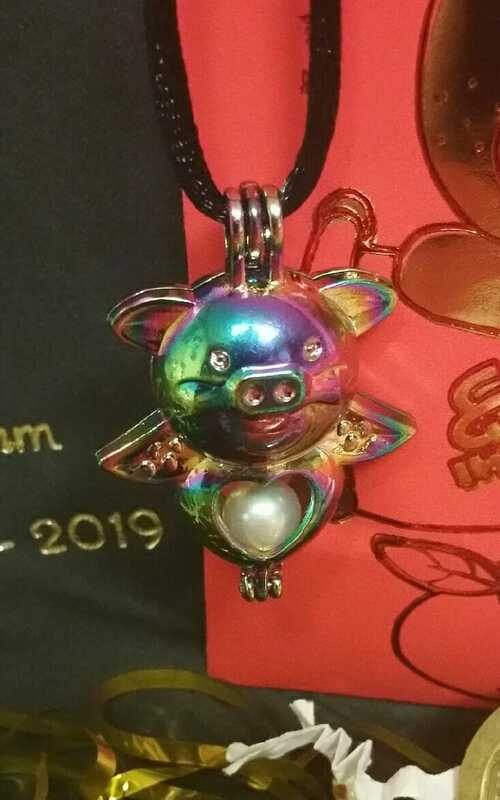 We will have be raffling off one necklace at each monthly Year of the Pig Celebration! That’s 10 necklaces! Wow! Just think if you won every raffle! You could strut around like a fancy Mr T in all your pearls. All the celebrations are from noon til 3pm each day. We hope you can join us for fun afternoons at Ross Mill Farm throughout the year, celebrating the Year of the Pig!